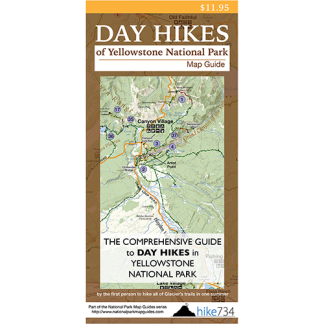 This short hike takes you to a great vantage of the West Thumb of Yellowstone Lake. The trail crosses the South Entrance Road and travels through a young stand of lodgepole pines. Shortly after the road, you come to the junction of the trail that loops to the top. Taking a left, the trail climbs through the trees, then transitions to open grassland as you gain elevation. The smell of sulfur alerts you to the hydrothermal features near the top. After a 200ft/60m climb, the views spread out before you. Various steaming vents and small pockets of boiling water surround the area at the top. Continue on the loop back down. 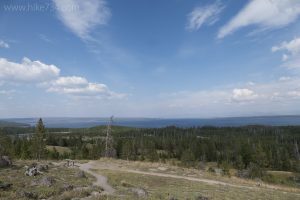 Trailhead: The signed trailhead for Lake Overlook is at the southwest end of the parking lot for West Thumb Geyser Basin.